Republic Cuts Flights Due to a Pilot Shortage, But Is It Placing the Blame in the Right Place? It used to be that Republic was one of the shining stars in the regional world. These days, however, that doesn’t say much. Regionals all over are having trouble getting enough pilots to fly their airplanes, and Republic is far from immune. In fact, it appears to be having more trouble than most. Republic says the reason it can’t get enough pilots is a combination of new federal rules making it tougher to become a pilot and the fact that it can’t get a new contract for its pilots. It seems to me that’s not the whole story. Ah yes, the ongoing labor dispute. This is one of the craziest stalemates in labor today. The contract with the pilots became amendable in late 2007. Just let that soak in. That’s almost 8 years ago. Let me put it another way. This round of negotiations started when Northwest was still an independent airline. After 8 years, is a deal likely? Heck no. It doesn’t seem like either side is willing to come anywhere near each other. The company noted in the press release that the pilot union had put out “unrealistic and unsustainable demands.” That doesn’t sound like anything that’s going to get resolved soon. We probably have to wait for the slow federal mediation process to run its course. A strike may very well happen… someday. The only savior here would be new management or new union leadership that decided to budge on their respective positions. Of course, in the airline industry, contracts never expire. Republic says that’s the problem here. It considers the current contract to be below market and it wants to pay more to get more pilots onboard. But the union wants more than Republic is willing to give so everybody loses. If Republic can’t find new pilots, then it has no choice but to shrink. The only problem is, it can’t shrink enough. Republic had planned on retiring its 50-seat ERJ-145 fleet in 2016, but then Delta decided to extend its contract for 38 of those ERJs by another 5 years. This was a complete surprise, but Delta had the ability to extend it without Republic’s input. Now Republic is stuck flying those airplanes and it doesn’t have the pilots to do it. So Republic desperately needs those pilots. Why is this coming to head now? We’ve talked about this before. This wouldn’t be an issue if it weren’t for the federal regulatory change known as FAR 117. As the airline mentioned in its release, the federal change that now requires pilots to have 1,500 hours (up from 250) of experience before they can fly commercially has created a shortage. When that rule went into effect, even those capable pilots who could have been able to fly before were no longer allowed until they got a whole bunch more hours. Needing 1,500 hours means pilots have to spend a lot more time getting paid very little to build up time. The ultimate goal of flying a big jet may not seem nearly as nice as it once did because of how much time and money has to go into the process. The end result for a pilot, of course, is the payoff of a good job that pays well. Only Republic (and most regional) doesn’t pay well enough, it thinks. If Republic raised wages, does that solve the problem? Eh, partially. It helps the airline to steal more pilots from other airlines, and it helps make it more attractive than other regionals to new pilots coming into the field. But ultimately pilots don’t want to be at Republic (or any regional) in order to have a career. They want Republic to be a stepping stone. And they want to get off that stone and on to the next one quickly. A shrinking airline isn’t going to help pilots to move through quickly, but without enough pilots, Republic can’t grow. Sure, pay is a part of it but there’s more to it than that. This is not the best situation for anyone. 42 Responses to Republic Cuts Flights Due to a Pilot Shortage, But Is It Placing the Blame in the Right Place? There’s really no way for the airline to just pay more, without formally amending the contract? I get that the pilot’s union wouldn’t like it, because they want the airline to suffer, so that the airline will be more motivated to negotiate. But out of curiosity, what aspect of pilots’ contracts forbids the airline from paying extra? Pay is one of the primary negotiated points. They can’t unilaterally raise rates because it requires agreement of both parties. The union wants and deserves a say in their compensation which includes a lot more than just pay. The problem is Republic wants the large pay increases to go to the newest employees (Years 1 and 2) to lure the naive into employment. How do you get a group of people who already work there to approve big raises for people that don’t work there yet while offering less than inflationary increases for a group that hasn’t seen wage adjustments for 8 years? Right now, flight schools across the country are enjoying cheap instructors who need to build time to get into the airlines. If those instructors suddenly meet the hours requirement for an ATP, they will probably be gone in a heart beat. India had this happen over a year ago, all their instructor pilots were hired into the airlines. They still haven’t gotten their schools started, and they are fast running out of students. Not enough experience to fly pax, but enough to teach newbies? Yikes, why does that sound like a bad system? Good analogy to the trucking industry. That is also my experience seeing this with trucking companies and the CDL process. The real story is that the major airlines rapidly grew tiny prop airlines into massive, transcontinental, jet airlines, to control labor costs. The system took advantage of the passionate young pilots willing to “fly for food”, which was what they ended up doing at the regionals. Young pilots were often charged money to sit in the right seat and build time, and pilots did it because they passionately wanted to be airline pilots, and they wouldn’t be at the tiny regionals long anyway. Then the regionals grew rapidly to fly half the airline operations in the U.S.. They became steadily more abusive of their desirable position, lowering conditions and pay until today happened: there are no more young Americans with passion to be airline pilots. Our current situation is very bad. We are watching the long-predicted collapse of the regional airline industry due to lack of pilots. They will likely stop flying to half their destinations, which means an end to scheduled airline service to a quarter of currently served U.S. cities, very bad. This is not a regional problem, as so many bloggers like to paint it. The regionals fly major airline passengers, not regional passengers, on major airline networks, not regional networks. When a regional airline loses a pilot, it is a major airline that loses capacity to sell tickets and make revenue. Major airlines are looking at losing a quarter of their networks over the next decade, to this pilot shortage. It remains true that major airlines can get all the pilots they need from the regionals, but they will still lose capacity. The major airlines cannot increase their flying to cover what the regionals are losing, they can’t hire and train pilots fast enough. The majors are short on pilots, and barely covering mild growth and retirements with their new hires. When retirements soon begin to double year-on-year, they will have to shrink, even if demand is increasing. The U.S. economy will be impacted significantly by significant loss of airline services. It will be a crisis, and like every crisis, an opportunity. It will be an opportunity for airlines to get rid of some pesky safety rules preventing them from pushing pilots harder and longer. It will be an opportunity for more automation to replace airline and cargo pilots, DARPA is already spending tens of millions of tax dollars toward that end in their ALIAS program. Such a crisis will only accelerate the demise of the airline pilot career, which young people can see coming already. It’s absolutely possible to raise pay rates outside of a full tentative agreement. Most people forget that rates in any CBA are the *minimum* that can/will be paid, not a maximum. Once a CBA becomes amendable, the RLA requires that the status quo (the extant contract) controls. I hear what you’re saying, but status quo provisions wouldn’t necessarily preclude a bump in pay rates, the way they might pay cuts. No one said anything about unilateral changes. If both sides agreed to a base rate increase, it could happen outside of a full T/A, or even any other amendment. That’s not entirely accurate.Republic has been offering ever increasing signing bonuses to newhires in an effort to maintain the status quo on pay rates. All it has accomplished though is luring in the short sighted while lighting a fire under everyone else to get the hell out. I’ve said it before, back in the 1980’s I flew into some very tiny cities on aircraft as large as 727’s. Today those same airports are only served by CRJ’s. If the regionals shrunk the mainline operators can pick up the routes. Will they have the same 3x daily service, probably not, but nobody is saying DL/UA/AA can’t fly into towns of 50,000 people or less with 737’s. I actually encourage that move as I find it very deceiving to sell a ticket where everything is branded as a mainline airline but “operated by” a regional with completely different rules and standards. As for a pilot shortage, well FAA rules are no different than licensing rules for any number of other professions. In my own profession it’s always a topic of discussion about making the barriers to entry easier. I’m a strong proponent of not doing that. Don’t dumb down the profession because of a short term shortage. Those airlines will simply stop serving those cities altogether if they can’t fly RJs to them. The airlines lose money on every empty seat, and I doubt even reducing capacity to 1x per day would be enough to adequately fill a 737 to, say, Sioux Falls, SD. Well, if the local O/D demand doesn’t support service then maybe they shouldn’t have scheduled service. Airlines will surely add a flight once the can make the economics work. My point is before the proliferation of the CRJ’s in the early 90’s a lot of the smaller cities had limited service on mainline metal. It worked then and it can go back to working that way. The business world isn’t that different today than 30 years ago. We’ve been spoiled by small jet aircraft that takes an army of pilots to operate. Back in those days there were no fewer than nine major national carriers. Today there are four. Back then the airlines were willing to fly nearly empty planes on 20-minute hops. Nowadays in the era of “organizational excellence” and sacrificing seat pitch to stuff more seats onto planes, that would never work. But hey, I guess if you don’t live in a big city, then you are irrelevant in the eyes of the airlines. Enjoy driving four hours to get to an airport for your once-per-day 717 to ATL. Customers these days want frequency. A flight on a large aircraft to a small town twice a week is basically useless and will be discontinued really fast. First, how come we’re back to not being able to see comments already left (6 prior to this)? Going from 250 hours to 1,500 seems a big leap, maybe the feds should have went to say 750 and see how that went. David SF – Can you send me a screenshot of what you’re seeing? I thought these problems were fixed, but if not, I’ll revert back to the old comment system. FAR 117 was a change to the duty and rest requirements, not to the pilot qualifications. The relevant regulation is FAR 121.436 regarding pilot qualifications. FAR 117 did increase the need for pilots by increasing the amount of rest required, but only by a handful. It’s a pilot’s market if you have the minimum flight time required. Republic is one of ~20 regional airlines. Why would a young pilot choose Republic when others pay more, or have better work rules, or have better labor relations, hiring bonuses, etc. etc. Right now Republic is at the bottom of the list when you consider all of the above, and so it cannot compete with other regional airlines. Given Delta’s intense focus on on-time performance lately you would think they would maybe have consulting with Republic on whether the extension was going to work before executing, even if they did have the unilateral option. Of course troubles at S5 don’t hit Delta’s federal stats, but they still lead to angry customers. … because in the contract if S5 doesn’t perform, penalties apply. Additional Revenue for DL! What was the impetus for changing the requisite number of flight hours for a commercial pilot’s license from 250 to 1500 flight hours? That’s a HUGE change! I’m sure the answer is probably “safety” but is that the real answer? Was there a specific incident that drove the change? Is the government willing to modify the change? It was not a specific event, but did come after the investigation into the crash of Colgan 3407 in 2009. The investigation revealed unacceptably low safety standards throughout the industry, and the 1500/1000/750-hour rule was one of many standards established. Prior to the rapid growth of regional airlines in the ’90s, airlines rarely took applications from pilots with under 5000-hours. In the late ’90s that dropped to around 2000-hours to apply at the majors, because the airlines were not finding pilots to hire with more hours. The regionals started hiring 250-hour pilots, and lowered standards far below what had been common in the industry, and there are plenty of frightening but not fatal stories from those times. Changing this law will require an act of Congress, this is not an FAA rule. It will probably change when the airlines and the economy begin to feel the pinch of a coming pilot shortage. something passed in Congess. One proposal I read about was a reduction to 1200 or 1000 hours from an industry trade group. As noted above, the mainline carriers suffer from pilot shortages at regional airlines. Maybe they can solve the contract negotiation stalemate by working with a mainline carrier on a way to move more senior pilots into the mainline carriers (where most want to be anyway). Senior pilots are more expensive. If the regional can lower the average seniority of its pilots, perhaps it can raise pay more for the remaining junior pilots and reach an agreement. That is most likely the answer. It gets old blood out and new blood in. But how do you do that when you fly for every major airline? Where do they go to? Not to American. Their new hire classes are filled with furlough recalls and Envoy flow-throughs. No airline is going to openly advocate or lobby for a reduction of hours, for the same reason why no airline advertises their safety record. Absolutely no one in the airline industry wants the bad PR of suggesting there will be inexperienced pilots on your aircraft. And despite some silly comments about getting rid of two people in the cockpit, the pilot unions mostly have the airlines over a barrel on this one. And they will no doubt use it to leverage larger wages and better benefits. Good. I hope you’re right. Pay levels for junior pilots are atrocious. I figure that most of the cost of a flight comprises fuel and equipment, and I’ll gladly pay a couple of bucks extra for my ticket if pilots manage to negotiate a more reasonable wage at the low end of their seniority scale. What airline union has any airline over any barrels? Airline unions essentially lost the right to strike in 1981 when Congress added section 159a to the Railway Labor Act. Since then, pay, benefits, and conditions have plummeted, unions have taken significant cuts in most contract negotiations, and pilots are now working for less than minimum wage with few benefits. Even in as airlines are running out of pilots, they are still getting concessions from pilot unions. The game is rigged heavily in favor of airline management, that is what has gotten us to this pilot shortage. 250 hours is in no way enough to operate a jet aircraft. not even close. 1500 hours is the requirement to get an ATP. There already is a path to a cut out for a reduction for those who graduate an approved degree program. That’s the path I went and I was ready for the ground part. But honestly it took 6 months before i felt really comfortable in my job. It’s safety people, the ATP rule isn’t going anywhere. To go from 250-1500 takes some time, but really that rule has been in place for almost 2 years now. The candidates who had 250 then should be coming up on 1500 now. But they aren’t choosing RAH. Instead our FO’s are leaving at an alarming rate to go to other carriers. We don’t have a contract because of ego. We’ve changed our negotiating team. But only one thing hasn’t changed in 8 years. It starts at the top. RAH needs a change in leadership. and slip it to an amendment on a different piece of legislation. It could be considered a rather cold calculated business decision in that the bad PR of a future airplane crash is weighed against the profits made by getting more pilots in the sky. The bottom line is that people are going to continue to fly regardless. If there were new rules put in place 2years ago, doesn’t that mean that the worst case scenario for an airline would be getting enough new hires in 2013 a total of 750 hours per year “behind the wheel”? 750 hours per year ought to be doable surely? Am I missing something? If it was the hours requirement that was the problem, then surely by the end of two years, the airlines should be swimming in pilots. Or did they not take enough new hires on in 2013? Young Americans stopped entering pilot training more than two years ago. It took 6 to 8 years for that to result in fewer pilots graduating. Also, the airlines are still bringing back pilots who have been furloughed for 15 years. Suddenly, there aren’t pilots sitting around waiting for a job, and not-so-suddenly there are very few graduating for the U.S. airline market. At the same time, the economy and demand are beginning to grow, and half the airline pilots in the U.S. are approaching retirement in the next 8-10 years. The shortage has little to do with the hours requirement. There are hundreds of new American pilots graduating and trying to build hours to get their license, while the industry needs many thousands of pilots per year. Dropping the experience requirement to zero would only gain a few months supply, while emptying schools of young instructor pilots who are there to build hours. Marks – It’s doable, but the problem is that it’s not cheap to get those hours. Flying for a regional pays low enough, but now to have to build up 1,500 hours before even being able to do that? It’s a big burden. So the expectation is that many will just not go into the profession because of the expense involved before getting to a good place. That’s why I don’t think pay is the issue as much as having paid training programs to get people into the pipeline without an undue burden is. 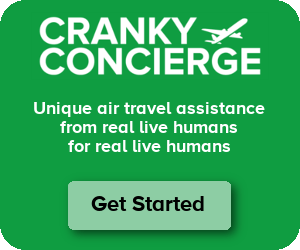 Looks like either compensation has to rise in terms of supply and demand laws, or airlines need to invest in training, or do without and reduce services accordingly. Or come up with some innovative way for it to be economic for young people to enter the industry. However, if there were some innovative way of doing that, companies should have been proceeding as soon as the changes in hours were announced, presumably before 2013. Way late now. It will be interesting to see how the market for pilots works out. Pilots were a dime a dozen after 9-11. Major airline management took advantage of this and shrunk mainline size while quadrupling their regional partners. I made 15k in my first year at a regional. It went up to 22k my second year. Four years later, I hit 40k/year as a regional jet captain, flying into cities that mainline served prior to 9-11 and the bad economy in the early 2000s. It was much cheaper to have the regionals do this flying due to low wages. They did this because they could, and their passengers thought they were flying on mainline. Pilots at the regionals were starving while trying to pay off 100k worth of pilot training debt to get there. Now retirements are kicking in and the regionals still fly close to 50% of all mainline departures. With all the hiring finally going on, regional pilots are leaving in droves to low cost carriers such as Spirit or Frontier and majors. Regional first officer starting pay has come up to 22k/year on average. Working conditions are awful at regionals and almost every pilot wants out due to this. Meanwhile airline management keeps trying to force more pay cuts and concessions down pilots throats. And if they don’t take these consessions, managent threatens they will shut them down, and give their planes to other regionals that will work for food stamp wages. It’s time for management to pay pilots a decent wage. At least a livable salary. Who wants to pay around 100k for pilot training, spending several years to get to 1,500 hours, then make a whopping 20k/year? Not to mention commuting to some far away base living in a crash pad apartment with 10 other commuting pilots, working holidays and weekends. My guess is that this flying will shift back to mainline where wages and working conditions are much better. I assumed by now Republic pilots would be part of the friends With Bryan Club. Especially considering how benevolent of a Christian be is. If the pilot group isn’t happy, it must be all their own fault. Right?